This is the furthest aft block on the Sunfish boom. 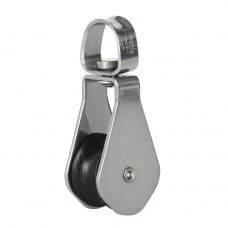 Equipped with a swivel for smooth action of the mainsheet as it's pulled in. 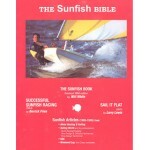 By Will White, Derrick Fries and Larry Lewis.Three books in one: The Sunfish Book, Successful S..